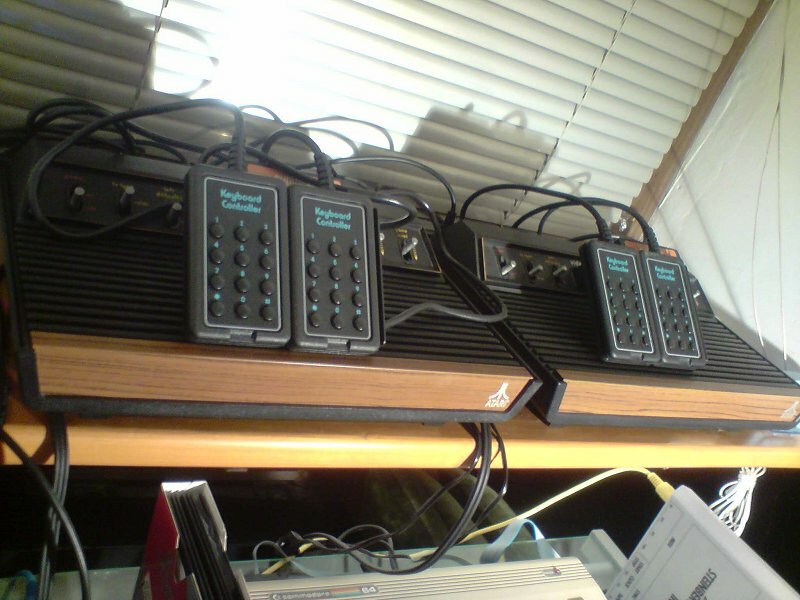 Some pics of my C64s and Atari VCS2600s, nothing special. 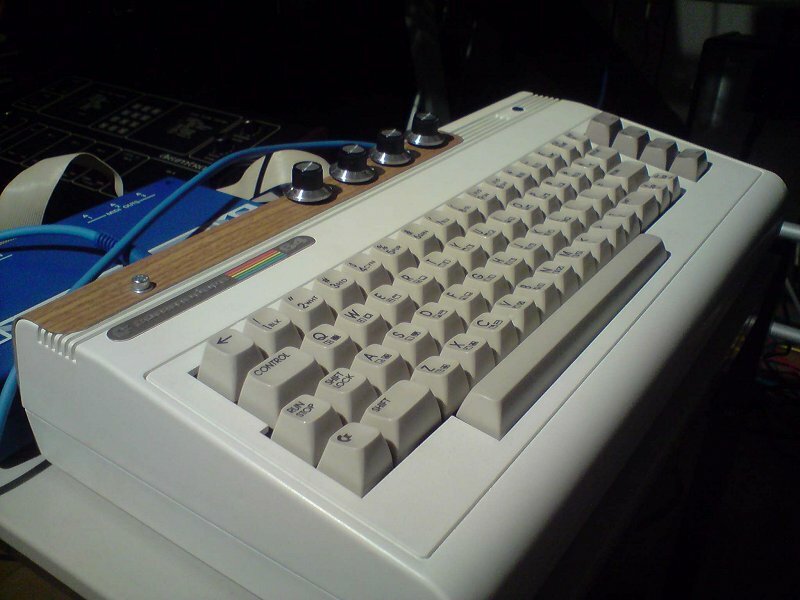 The white and the black C64 got 6,3 mm mono jacks, denoise mod and some switches to turn the potis/faders on/off. 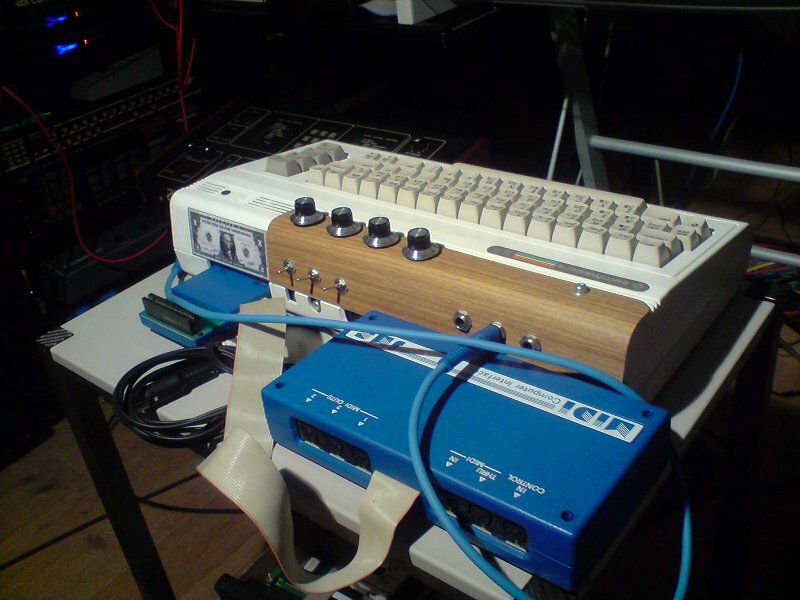 The white breadbin was a 'make 1 out of 2 project', it has the mainboard from the C64II in it. 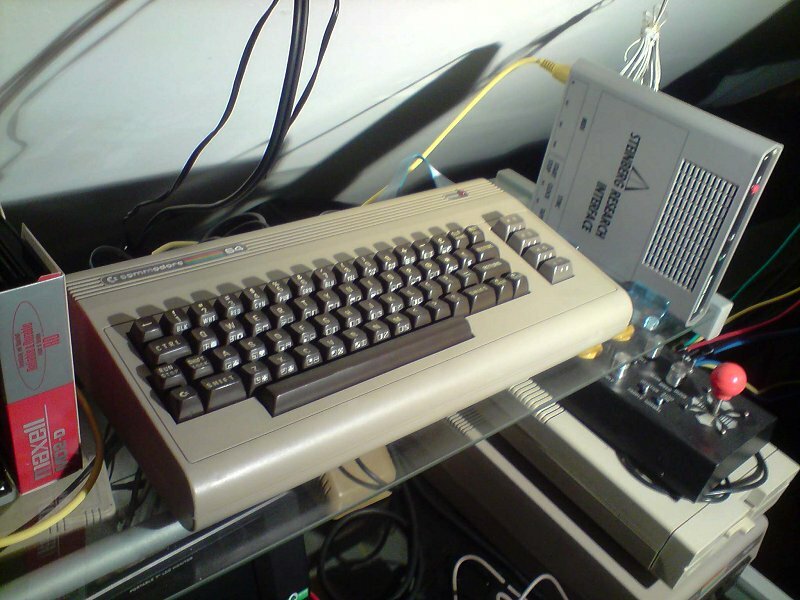 The grey breadbin is an unmodified early C64 (Sticker says Made in England, had to keep it original). 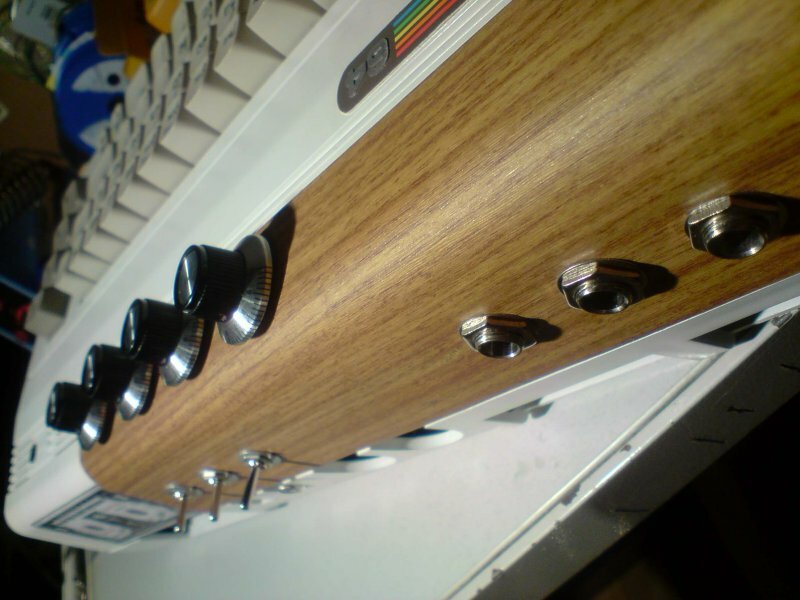 Both Atari VCS are 6-switch models - I´ve added AV-output + potis for colour-adjustment, 6,3 mm & cinch audio-outputs and midi-retrofit-kits for the synthcarts. I just dig the wood! 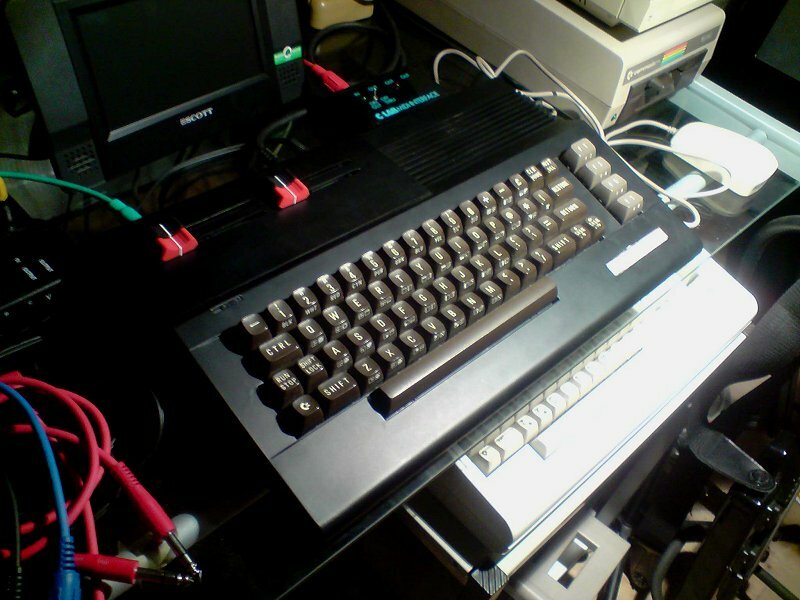 @ron: This is colour coated aluminium that looks like wood. 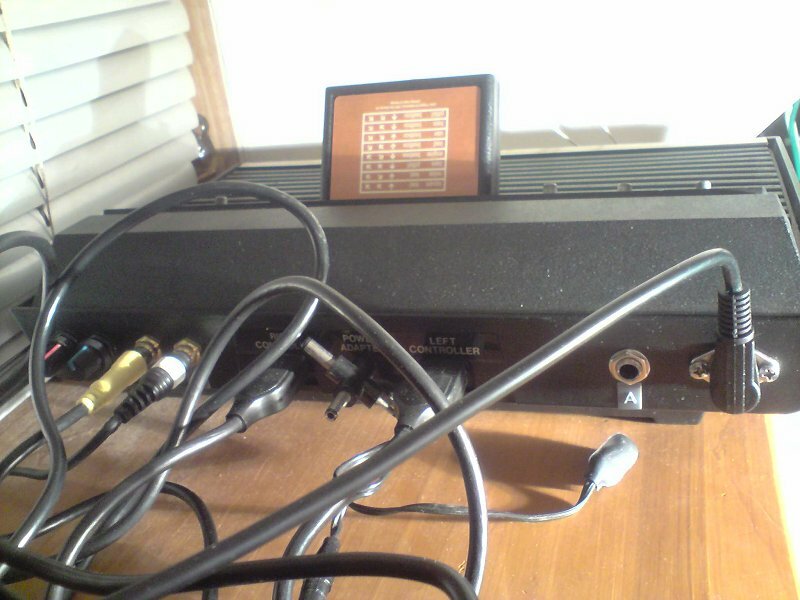 i love the atari 2600, can you explain me please why have two knobs? 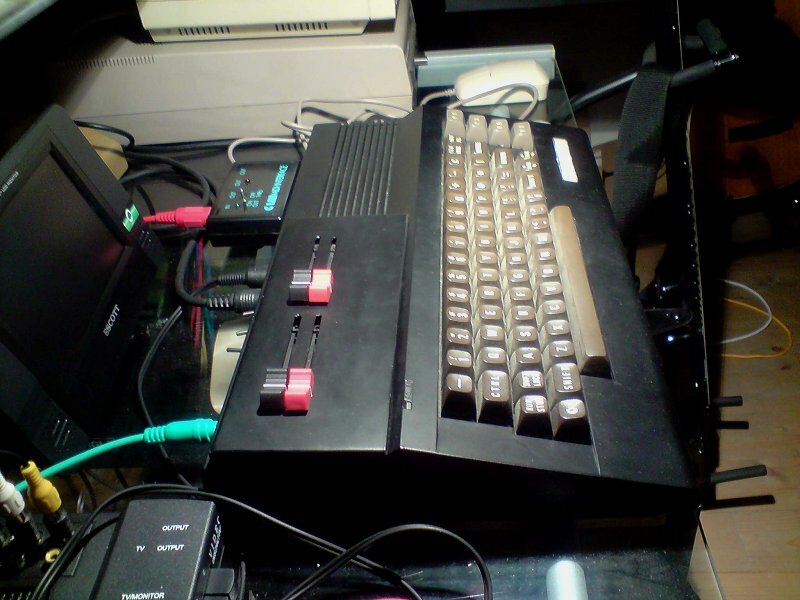 Both potis are used to adjust the picture - they are part of the AV-mod. 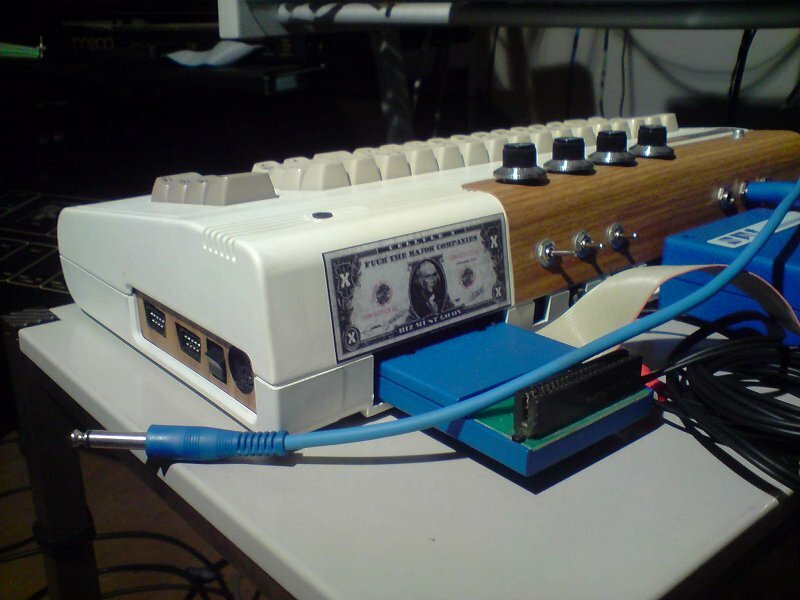 Most people use smaller potis for that mod and hide them on the inside of the console.